This year’s Founders Week theme pays tribute to the women of Campbell University. We honor their servant leadership, strength, and unwavering commitment to the University and the lasting impact they have made across generations. Today we honor Campbell’s female student leaders. We asked Brittany Creasey, Abigail Pore, Casey Glover, Lori Kaitlyn Babb and Parker Barnes to explain, in their own words, what servant leadership means to each of them. We also learned more about their involvement as leaders on Campbell’s campus. 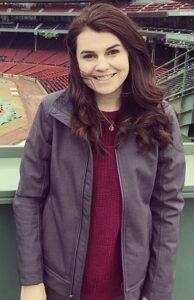 Brittany Creasey is a senior biology major and psychology minor from Lexington, with plans to one day obtain her Physician Assistant license and work in pediatrics. Creasey is known around campus as a member of the Campus Activities Board (CAB), serving as weekend’s chair for two years and currently serving as executive president. In both of these roles she is responsible for planning events for the Campbell community. In addition to these leadership positions, she has served as a resident assistant since sophomore year, and was the first new member coordinator of Alpha Delta Pi sorority. Servant leadership has always been a huge part of my life, especially throughout my time at Campbell University. A servant leader is someone who takes the time to enrich the lives of others around them. Serving in Residence Life and Campus Activities has allowed me to serve our campus in many different ways and enhance the lives of students by helping to further build the sense of community on our campus. One of the big tasks of college is learning to manage your time efficiently and finding the way to balance your time is not the same for every individual. I quickly learned that I need to write everything down so that once I have accomplished a task, I can cross it off my list – which gives me instant gratification that I am being productive. Each morning, I make a daily to-do list with all the things I wish to accomplish in that day. At the end of the day, I can see how productive my day was. I also carry around a monthly planner with me. I put all of my meetings, deadlines, homework, etc. in this planner to make sure I am getting things done on time. What is one value every leader should possess? 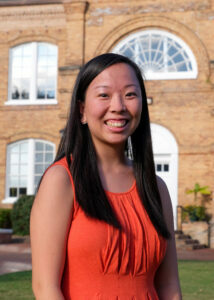 Abigail Pore is a current junior at Campbell University from Mebane. 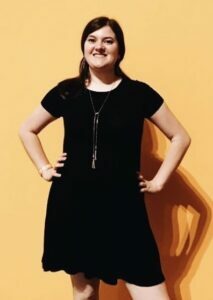 She is an English major with a Christian Studies minor, and leads at Campbell through her role as editor-in-chief of The Campbell Times newspaper, as well as other roles in Sigma Alpha Omega sorority and various honor societies. Servant leadership isn’t the kind of leadership that you see publicized. It’s not a big time CEO who hustled their way to the top purely with willpower. Instead, servant leadership is about setting an example in an ethical way and helping others. It’s being the connector of people who need each other when networking instead of only going to find someone to help you. Servant leadership builds relationships through being willing to help others, which creates an organic draw from other people. How do you manage your responsibilities? I have my three big categories: schoolwork, sorority and The Campbell Times. Each of those three categories breaks down into different responsibilities and I plan my semester in advance to have projects done. Also, purposefully planning out rest and sleeping early to wake -up early and get things done has been life changing. Since I’m already a morning person, it makes sense for me to rest at night when I’m feeling less productive to get that sleep in and prepare to conquer the next day. I’m also a fan of creating routines to keep the general balance of the three categories running smoothly when I need to focus more energy into a new project. Is there one characteristic that every leader should have? For me, it’s summed up in my “word of the year”: gracious. Gracious means that you’re polite and genuinely engaged with others, and that you know what to do when people don’t make it so easy to show them grace. Are there any faculty/staff members who you have learned about leadership from? In a lot of my English classes, I’ve learned how to speak-up and really hone my ideas. In Christian Studies courses, I’ve learned how to question and form ideas about why we think what we do. Humanities has taught me how to shape my life into what God intended and where I see myself being led. How do you think you’ve grown as a leader during your time at Campbell? Because Campbell feels like home, it made me comfortable enough to step into new roles and present new ideas and that work is really how I got here. And the friends I’ve made here gave me the confidence to know what I wanted to do. Now I’m here doing it because of their support. So thank you both to Campbell and to everyone who spoke that kindness over me. Do you have any advice for aspiring leaders? My advice is to seek leadership opportunities with purpose, but also to pace yourself. Take time to figure out what you want and the steps to get there – then follow the steps. Sometimes you’ll get an opportunity to jump ahead, sometimes you have to wait it out. Those times of waiting can make you ready for when you do get the position. Even if you aren’t in charge of something, you can lead where you are. 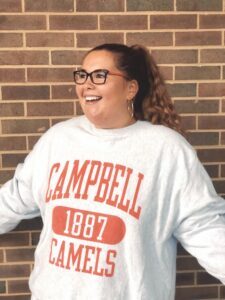 Casey Glover, a freshman math with teacher licensure major from Clayton, has found ways to be a leader from her first days on Campbell’s campus. She currently serves as president of the first group of Teaching Scholars, a group of leaders in the teacher licensure program, as well as the treasure of the Campus Activity Board (CAB) and is involved with RANSOM ministry group and a small group through Spiritual Life. What did it mean to you to be president of the pilot program of Teaching Scholars? I was super excited about getting accepted into the program. I knew it was a new and fresh start that was going to give me a “leg up” because I’m a big leader and I love to have an active role in whatever I want to pursue. I ran unopposed for president because everyone said I could do it, and it was unanimous. That was cool because I hadn’t known the others very long but they knew my passion for Teaching Scholars and that I would be a good fit, so I tried not to take that for granted. I don’t want them to see me as someone who is higher and going to abuse the power because that’s not the purpose of a leader. You can’t build something great by yourself. How do you live out servant leadership through your positions? In my position as treasurer of CAB I’m involved with every single chair. I have to help and guide them but I also have the position to serve the members of my committee and CAB members. I’m not exactly leading an event on a regular basis but I get to help and I get to lead by example. When i’m there cleaning up an event with the committee members that aren’t involved with the planning process and when I do exactly what they’re doing, that shows that I’m not above them. What advice would you give to other freshmen interested in leadership? If you’re going to try anything, do it for you. Don’t do anything just because someone else is telling you to do it or that you’d be perfect for it. You need to do it wholeheartedly for you. Even if that’s just doing an interview so that they know your name and face that’s really great. If you sit there and focus on the what ifs, what are you ever going to accomplish? You’ve just got to try things. If you fail, pick yourself up, dust yourself off, and try another thing. How has Campbell helped you become a better leader? I don’t think I would be able to be this involved on any other campus. Thanks to Campbell for being so accepting of me – not just the faculty and staff but also, the students. People want to lift each other up instead of just lifting themselves up. I was never told not to apply for something because I was a freshman or because I was a woman. I’m just so grateful for that. It’s really awesome. 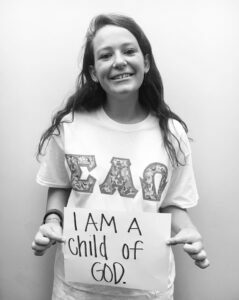 Lori Kaitlyn Babb is a junior biology major from Clayton. She serves her campus as a resident assistant (RA) in Pat Barker Hall, she is in the process of founding the Asian-interest sorority Kappa Phi Lambda, she works on the Campbell University Call Team and for the Office of Alumni Engagement, and is a part of “Step Up,” Campbell’s Title IX leadership committee. What drew you to being involved with these opportunities? One thing that drew me to Campbell was how you have the ability to get involved in leadership positions even as an underclassman. I applied to the Title IX leadership committee with Kellie Nothstine, and that was a great avenue for me to get to know Campbell. Becoming a residence assistant was important to me because I went to boarding school for two years, and I thought I had the experience to show others how to go through the adjustment of living on your own. Being Asian is a really big part of my identity, and I think that it’s important for me to be involved with the Asian Student Association and the sorority as a part of my culture, to show that we have a place at the table. How do you empower or encourage your Pat Barker residents to be leaders on campus? The main thing is giving them the resources. All of my residents have exactly what it takes inside all of them to be great leaders; they just need to know the avenues to get there. Talking to the residents early on about leadership opportunities allows them to be ready for these opportunities when they come up. Even for Step Up, I was on stage their first weekend here for Camel 101, and they got to see, “hey, she’s my RA and this is another arena she’s a part of,” and if they’re interested they can come talk to me. That’s what I did last year, and some of them are on the same committees as me now. I think “big picture” skills are really important, to have a visualization your goal so you don’t get stuck on the little details. I’m someone who wants everything to be perfect, but you have to see that it’s the bigger picture that matters. Are there any faculty or staff who have inspired you to be a better leader? Kellie Nothstine is one of my biggest inspirations and she knows it, too. She is an empowered woman. She has her J.D., she’s a mom, she is dean of Campus Life. She does it all, she’s so approachable and she’s shown me what a leader I can be. Dr. John Bartlett has done a great job as an advisor and a teacher to me. I know he’s always there to be a listening ear or give me career guidance and I’m really grateful for that. It’s good to have someone in my academic corner. Do you have any advice for an aspiring leader? The best advice honestly is to just do it, as cliche’ as it sounds. I was nervous when I applied to things too, but you have to acknowledge that fear and know that you can still do it and fight through it. If you fail, that’s totally okay, because you’re going to learn from that even more. Parker Barnes is a junior Christian Studies major from Apex. Through her last three years at Campbell University, she has become an essential part of Spiritual Life, including becoming the first junior to serve as a resident chaplain in training, where she serves as a mentor for over eighty first-year residents. Recently, she brought a collegiate chapter of International Justice Mission to Campbell, an organization seeking to enforce human rights worldwide, of which she currently serves as president. She brought a collegiate chapter of International Justice Mission to Campbell, is a sister of Sigma Alpha Omega, is a student worker for the Christian Studies department, and worked with the Office of First Year Experience peer mentor in fall 2018. How did you become involved with Spiritual Life? I went through a really hard season my senior year of high school and the Lord really allowed me to have healing towards the end of that. I knew that coming into college that if I was not intentional about community, mentorship and leadership that I was going to go back and be sick again. When I came to Campbell I knew campus ministry was something I needed. I told my story at spiritual life night in March 2017 and that is when I became involved with campus ministry for the first time. For the first time, people I didn’t even know were saying, Parker, there is something here that we want to tap into. So I ridiculously over-committed myself my sophomore year, but with the greatest of things. How did you get the opportunity to be Campbell’s youngest Resident Chaplain? Morgan Pajak is the resident chaplain of both Strickland and Hedgepeth, which is two hundred girls she’s supposed to have a relationship with, which is impossible. She needed an assistant. Faithe Beam had asked Morgan if there was someone she could see mentoring into becoming a resident chaplain, and she said me. I sat down with Faithe and Morgan and it just fell into place. Typically resident chaplains are Divinity School students. I am a half-resident chaplain this semester. I work ten hours a week instead of twenty. It’s kind of like getting my feet wet before I jump into the water. Part of the nature of leadership is that you just have to figure it out as you go. There is not a cookie cutter way to relate to 88 residents. This process is stretching me and teaching me that it’s going to look different for each resident and each year and each night. I, as a leader, have to be intentional about my boundaries and my time to honor myself so I can honor my residents. Humility is a big piece of it and knowing that I will never be enough of a leader but that the people I’m leading desperately need Jesus. The end goal is not to say how great of a leader I am or they can be, but to show them that Jesus is a perfect leader and how he modeled that perfectly through his life, death, and resurrection. How do you stay refreshed and energized? Community that loves me radically enough to call me out, which seems like the worst but is actually the best. I also think that self care is vitally important. For me, that is a non-negotiable that before every day I have to spend time with Jesus. There is a noticeable difference in my life if I do not. My sleep is also not negotiable. It will be harder for me to wake-up, spend time with Jesus, and lead well if I do not go to bed early. For a full Founders Week 2019 schedule of events visit alumni.campbell.edu.